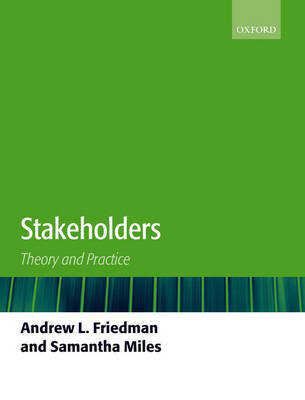 245 1 0 %a Stakeholders : %b theory and practice / %c Andrew L. Friedman and Samantha Miles. 260 %a Oxford : %b Oxford University Press, %c 2006. 300 %a XXVIII, 330 s. : %b il. ; %c 25 cm. 504 %a Bibliogr. s. -321. Indeks.